Mas mura nga ang BD and 4K sa UK pero iisa lang ang shipping nila priority kaya siguro dumadaan pa rin sa post office. Sinubukan ko mag order ng vinyl LP record sa Amazon, direct shipping using Amazon Global Expedited. I'll see how it goes. Dati kasi pinapa-cargo-forwarding ko pa sa Shipping Cart. Meron din option for standard shipping pero sa tingin ko yun yung ipadadaan pa sa local postal office. how much is the shipping for the records? ^ Unless you will avail of Amazon's premium shipping option for your BDs (either Expedited or Priority), packages/parcel shipped via standard international shipping will still pass through the local post office. Amazon UK offers two shipping options for BDs/UHD BDs : Standard delivery and AmazonGlobal Priority. Haven't availed of priority though. Kaya namang maghintay Besides, the delivery date is a rough estimate. It usually takes 9-14 days only. For this order, Amazon Global Expedited shipping cost me $17.98 for one record. The grand total is usually cheaper or equal to the local prices of brand new records. In my case, I have no choice but to purchase LPs abroad because none of the vinyl albums that I want are locally available. So sinubukan ko mag order ng mga plaka sa Amazon direct shipping dito sa PHL. Pinili ko yung Amazon Global Expedited Shipping option as I usually do. Strangely, hindi nila ipinagsama yung LPs sa isang box na ang usual na ginagawa nila pag Amazon ang naghahandle ng fulfillment, so shipped sila in two separate packages. Tapos $10.99 at $10.98 lang ang charge sa akin for each respective record. Yung isang record, shipped using UPS which is good pero ang nakakapagtaka, for the first time, APEX shipping ang ginamit doon sa second package which upon some Googling ay isang Chinese shipping company. Mas matagal din ang shipping estimate kumpara sa UPS. Kahapon, nakareceive ako ng text galing Ninja Van na may choice ako na mag opt-in for branch pickup rather than door-to-door delivery if I would prefer. So it seems yung last mile delivery ay turned over sa Ninja Van katulad ng Lazada. I wonder kung sinusubukan na na Amazon itong mga ito as part of cost cutting measures. Hindi maganda ang track record sa akin ng Ninja Van dahil naka ilang items na rin ako na natanggap ko sa kanila in damaged condition or sobrang laspag yung packaging na alam mong hindi sila maingat mag handle. Siguro yun ang dahilan kaya may inooffer silang pick up option katulad ng sa JAC. 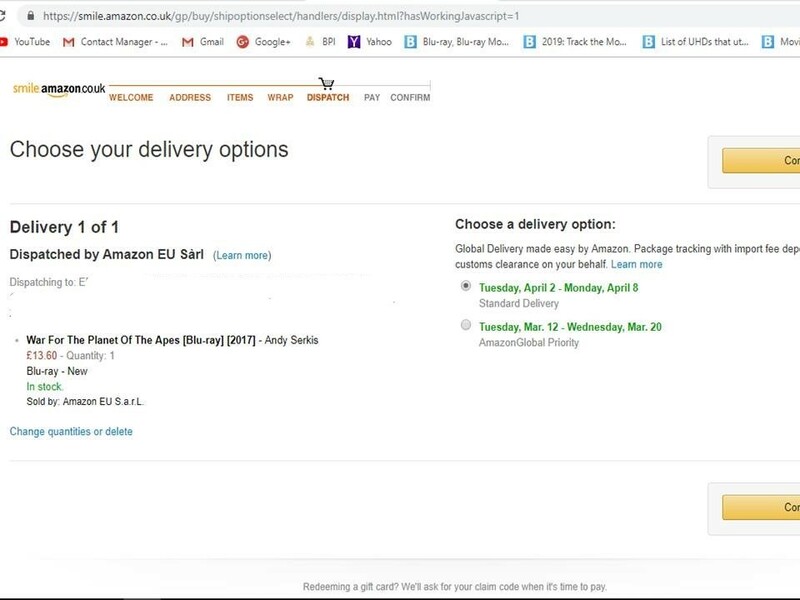 ^ as for me, my orders from Amazon I click the item/s as a gift. Amazon will put it in a Amazon-printed box (for free) so that the item's label is not exposed (or maybe they will put it in a bubbled envelop, depeding on the shape of the item). usually the gift box is larger than my ordered item/s and will be consolidated into 1 box and they'll fill the box with air pouches. this way, the item's are protected inside -- kahit siguro ibato-bato at maalog nila yung box. the gift box is also sealed and it'll be obvious if anyone would have attempted to pry it open. either a UPS truck or a Air21 truck delivers it to me if UPS is not available. so yes, UPS PH do sub-contract their deliveries with other local companies. though I have not experienced a deteriorated box when my orders are delivered at my doorstep. very much appreciated their professional services. Your experience has been the same as mine except for this last one. Kahit hindi ko i-click yung gift option, consolidated pa rin sa isang amazon box with air pouches pag dumating sa akin. And yes, Air21 din ang usual na last-mile delivery ng UPS dito and maayos ang condition ng package. 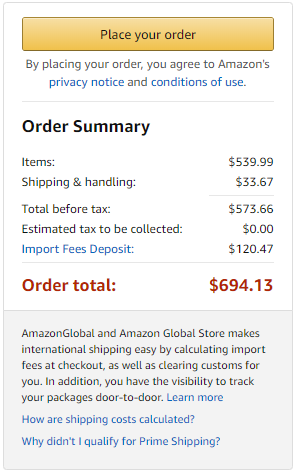 Unusual lang talaga yung isang record kasi hindi talaga UPS ang shipping company ng ginamit ng Amazon para sa expedited global shipping nila to the PHL. Instead APEX/ECMS Shipping ang ginamit tapos last mile nila ay Ninja Van. I have tried Amazon global priority. It is in a Amazon A3 Box. from Order time to my doorstep it only took 3 days. Usually the shipping times is inflated for allowances. The $31 shipping was not bad considering I have to pay 9.5% tax of the $150 item value if delivered in California, then wait for 2 months to arrive. Depende yan san ung shipping address siguro sa pinas pag probinsiya like visayas or mindanao baka kaya natagalan knowing our local courier here. Basta less 10k eh mas mura at mabilis ang direct shipping amazon to ph. Yes they use APEX minsan nangyari na din sa akin yan and ninja van gamit ng apex local courier so far ok naman delivery is within time frame. *item used to estimate was a laptop. is the price still cheap compared to local sellers? Thank you for this example! Dumating na rin yung LP na shipped ng APEX/ECMS. 5 days after yung LP na shipped ng UPS. Anyway as expected, since Ninja Van ang nag deliver, medyo bugbog yung outer box ng Amazon tapos tampered pa yung packaging tape pero at least door-to-door delivery pa rin. Buti na lang, heavy duty yung cardboard packaging para sa vinyl records na ginagamit ng amazon kaya safe and sound yung plaka. do you get any cost benefits on delivery to the Philippines as an Amazon Prime member? Pwede na palang mag cash payment ng Amazon orders sa Wester Union. I think kasama yan sa expansion plans ng Amazon dito. Disappointed lang ako na Apex/EMCS/Ninjavan na ata ang gamit nila sa pag ship dito, hindi na UPS kaya ambagal na ng shipments. From 4-5 days sa UPS, around 10 days or more na sa APEX tapos hindi pa maingat sa packages ang Ninja Van. Yeah matagal na ngayon. Dati 4 to 5 days lang. tho, paano kaya forex when you pay thru Western U in PhP? mas mataas kasi forex nila compared sa local bank kpag nag-credit card payment tayo in US currency. for me, I just let my local bank use their forex. When you order from Amazon and directly ship to the PH, do you click the gift receipt option? Will that help in clearing customs or not needed anymore? No it doesnt. That option is for presentation purposes like if you want it gift wrapped with a note of "happy birthday" or do not want to show the sales receipt from Amazon.